Formulated for teenage skin, to help clear blocked pores, soothe the delicate young skin, hydrate and moisturise without adding more oil. Teenage skin needs careful attention to help clear blocked pores, soothe the delicate young skin, hydrate and moisturise without adding more oil. 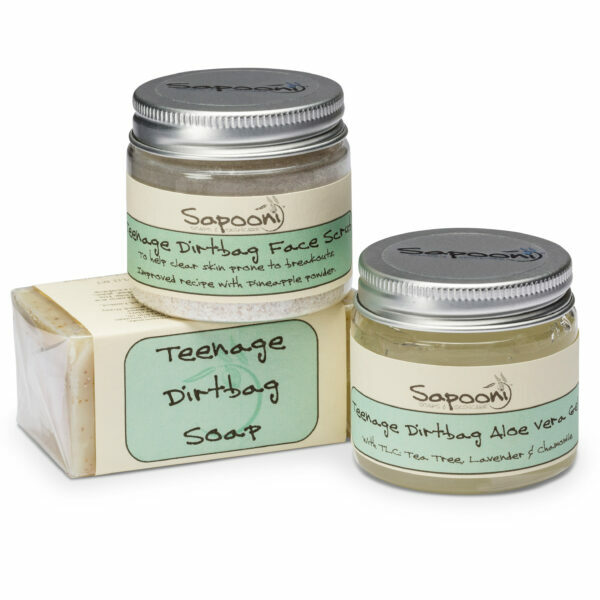 Our Teenage Dirtbag Gift Box contains skincare for teenagers; natural antibacterial soap and skincare, formulated to help teenage skin. 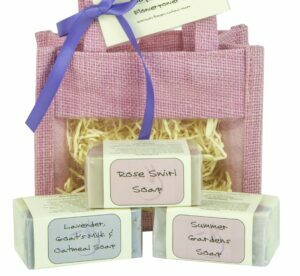 Teenage skincare at it’s handmade, natural best! 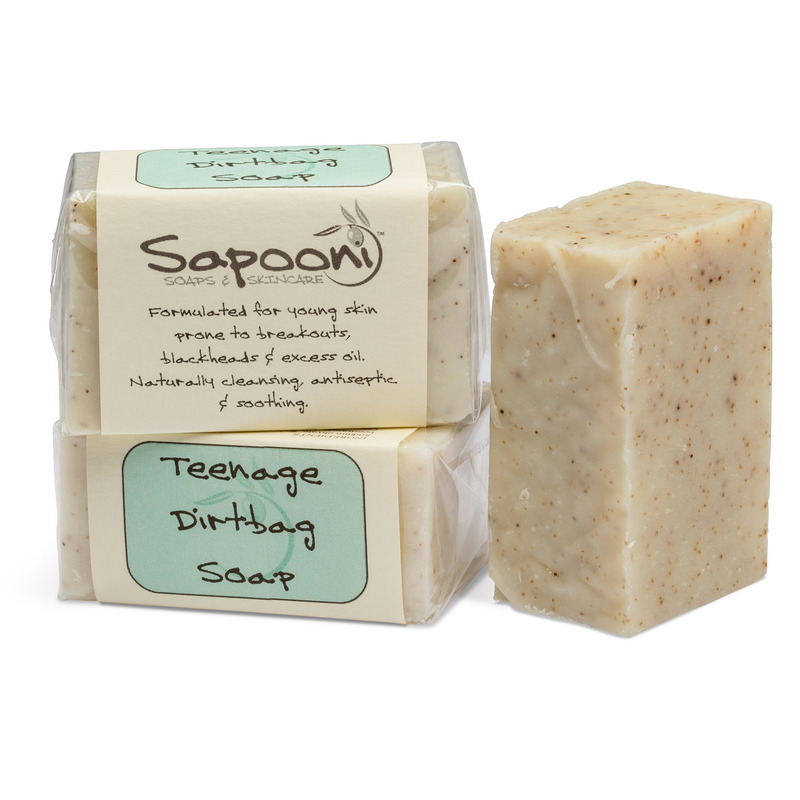 Teenage Dirtbag Soap; Particularly beneficial to young skin prone to blackheads and breakouts. Formulated to be effective yet gentle, we’ve used natural ingredients to help draw excess oil and impurities out of pores. We’ve also added naturally cleansing and antiseptic ingredients like tea tree, arnica and lemon essential oil, and a comfrey infusion- used for centuries to help treat minor skin ailments and irritations. Gentle enough to use on the face. A the mainstay of our range of skincare for teenagers… 100g bar. Teenage Dirtbag Clay Scrub; Particularly beneficial for oily or congested skin. A blend of natural ingredients help to gently unblock pores, slough away excess oil and impurities, and soothe, soften and nourish sensitive young skin. 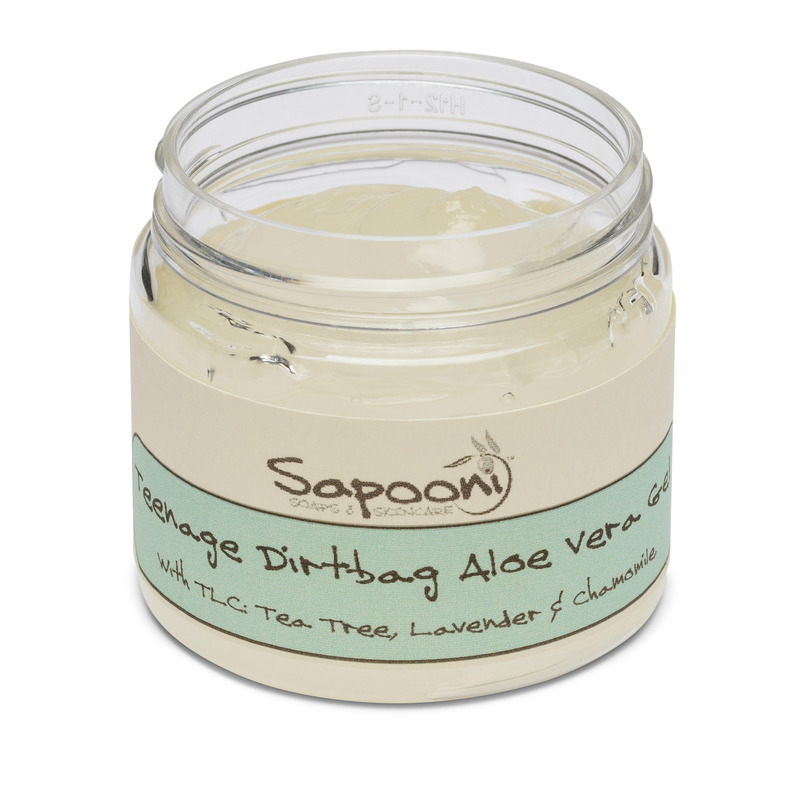 In an airtight jar, so any unused scrub will stay fresh until you need it. Use at least once a week for best results. 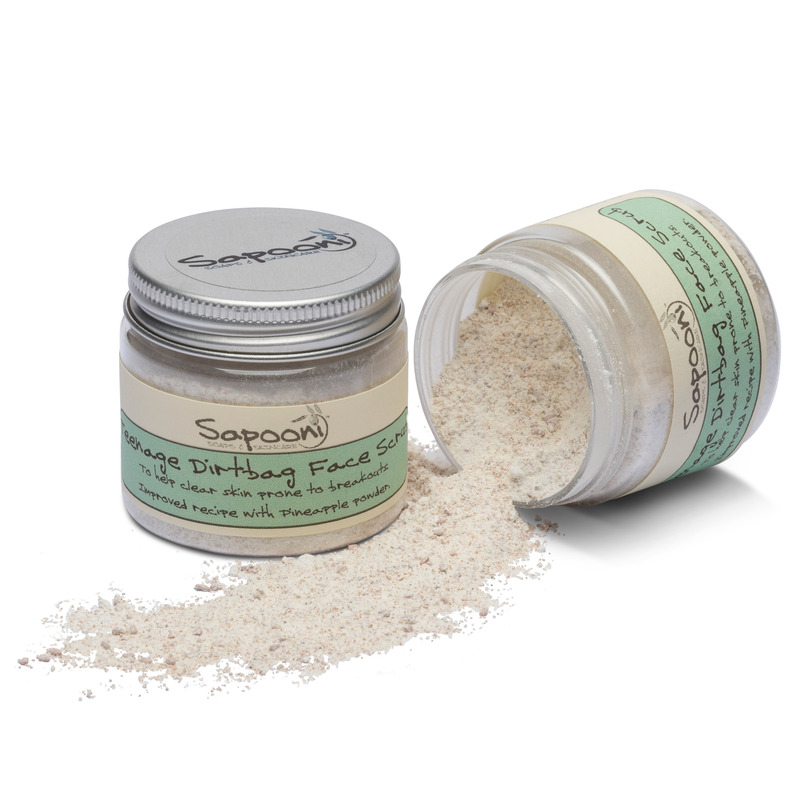 To use; mix about 5ml (1 tsp) to a paste with water or yogurt and massage into problem areas. 30g jar, enough for 6-8 scrubs. Teenage Dirtbag Aloe Vera Gel; We’ve formulated this soothing, cooling gel to use on irritated or inflamed skin. 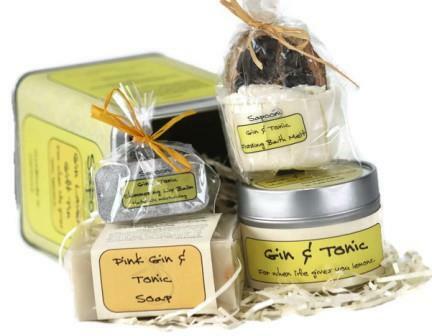 It’s hydrating & gently antiseptic, so good for teenage skin prone to breakouts. 60g jar.